MISSION: An integral part of the University of Miami, the Lowe Art Museum offers its diverse audiences opportunities and resources for engaging with contemporary culture through 5,000 years of human creativity. VISION: The Lowe Art Museum touches lives and builds communities by serving as a laboratory for learning, a place for engagement and enrichment, and a site for self-discovery. Support the Mission and Vision of the University of Miami. Collect and exhibit exemplary works of art and culture. Steward the objects entrusted to our care for the benefit of successive generations. Use our resources to inspire a plurality of audiences. Foster a sense of community both on and off campus. Promote civil and civic discourse. The Lowe's success in fulfilling its mission is confirmed by an extraordinary and ongoing outpouring of support for the museum and its collections. 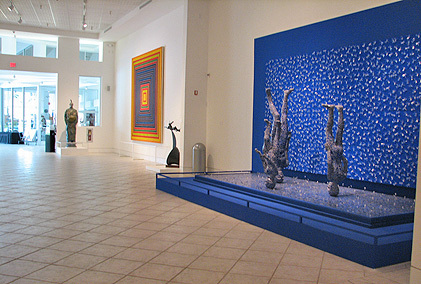 With the gift in 1950 by philanthropists Joe and Emily Lowe, a free-standing museum facility opened to the public in 1952, the first art museum in South Florida. Its more than 19,000–object collection is one of the most important in the southeast, with strengths in Renaissance and Baroque, American, Ancient and Native American, and Asian art.